fill out the form to receive a FREE 3 DAY TRIAL. 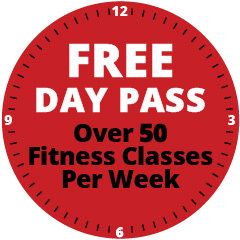 Print out the 1 DAY PASS and see why so many are switching to Fitness Time to reach their goals. Simply fill out the form below and receive an email to try out the Fitness Time difference for 3 DAYS!